Blog Is the world really a ghetto? 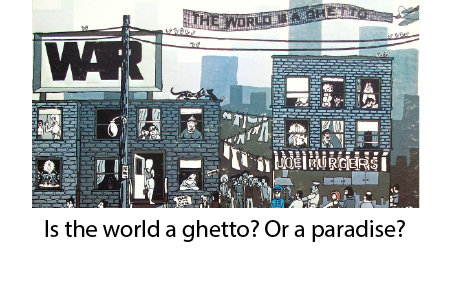 Is the world really a ghetto? A bit of an anthology blog tonight but try to follow my train of though. cell car, I once again feel the roar of internal combustion under my feet. Where once my car only produced water and electricity, now I am back to polluting. For reasons ostensibly of an economic nature, systems have not supported clean hydrogen cars and my three-year lease on my wonderful fuel cell car has ended. Despite being touted in 2001 by then President Bush as the way of the future, the lack of hydrogen fueling stations has made it hard to readopt this better tech. The Hyundai and Honda versions are not available and I don’t care for the Toyota. People who drive electric cars don’t discern a difference in zero emissions but there is a huge one. Most of the electricity for that electric car is created by non-sustainable, carbon burning methods, at least on our California grid. When we talk about incentivizing people, we have to realized you have to make it easy for people to be good. Because I often waited that to fuel my car from the newer Toyota Mirai cars, I would have a negative feeling when I saw them; this reminds me of the song by War, “The World is a Ghetto”. I should feel pride and solidarity with my early adopting colleagues but I occasionally felt resentment even though the system that created the ghetto of hydrogen users fighting over resources was to blame. In a Ghetto, people are fighting over scarce resources and fighting amongst themselves. We could have had hydrogen fuel cells since their invention in 1839. NASA has used fuel cells because of their efficiency and production of water as a “waste” product. 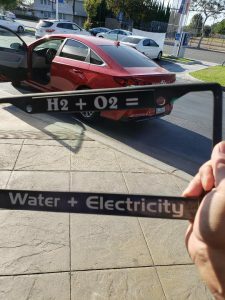 Unlike internal combustion to turn a magnet in an electric field that fuels electric cars, the chemical reaction of Hydrogen + Oxygen produces no heat…just electricity and water. A Brazilian man invented a water combustion engine that can power a motorcycle for 300 miles on a liter of water. On the other end of the spectrum, a company in Lichtenstein has a supercar with top speed of 236mph and a range of over 1000km. So you can use hydrolysis, use ionized water, or use hydrogen, which is the most abundant thing in the universe (along with stupidity, according to Harlan Ellison). Hydrogen can be a byproduct of waste decomposition or derived from cow flatulence. Speaking of cows and doing the right thing, have you ever thought of becoming vegetarian after seeing a video of cow slaughtering? I have. When I blogged about lab grown meat in this funny posting about eating dinner with some Jains, the cost had already started coming down and soon, you may have no choice to have meat derived for intact animals. The larger question of whether lab grown meat is vegan is not a simple one. Extracting muscle stem cells is not cruel and then producing meat from them is very compassionate since it doesn’t involve slaughter of a sentient being. But if you fast forward to mass adoption, the very existence of cows in a human-dominated world is in serious jeopardy if the farmers no longer require them. Is non-incarnation a form of animal cruelty? What is the point of this rambling blog? It is that the entire way that we consume, aspire, conceptualize, and despair is largely a prison or ghetto system that we are actively complicit with. Instead of demanding abundant, clean, renewably, and non-violent means of eating, commuting, and living, we allow the masters of the ghetto to dictate all the conditions. The foods, fuels, living spaces, manufactured enemies, and even limitation on our own beliefs are all easy “choices”. And it is likely that if a choice is easy, it is because someone wants you to choose it. I plugged back into the fossil fuel “Matrix” not because it was the right thing to do but rather because it was the easy thing to do. My friend, Syd, explained that all of human behavior is driven by “Minimax” game theory; minimizing the maximal bad outcome. The reason why South Korea’s president was deposed was that laziness and the easy choice swung so quickly to doing the right thing and it aligned with the Minimax principle. People finally told the truth because the press and the politicized Koreans demanded it. In most systems coercion, cronyism, influence peddling, and crass monetization are powerful levers to control systems. As my fellow futurist and friend, Michael Rose explains in this brilliant critique of academia, the faults of many if not most institutions lie in human ego and lack of devotion to principles. Yesterday, we celebrated Independence form the British crown and the evil of taxation without representation. Now realize that we have 21 trillion in private debt that is paid for my taxpayers who have no interested in auditing the private Federal Reserve bank, and you realize the power of myth and narrative over the principles of truth and transparency. As a closer to this anthology of past blogs, I close with my own futurist/humanism utopian vision blog. In it, I tried to invent new systems to render the current ones obsolete. I believe that war, fossil fuels, election fraud, corporatism, and crony capitalism are all in their end stages and fall as a result of their own unbridled successes. The narrative has been so controlled, the populace has be so lulled to sleep, and the wealth has been so concentrated, that only a “Hail Mary” like Guaranteed Basic Income could possible save this system. The good news is that more and more people are waking up from the illusion of scarcity and the total fable that the world is a ghetto. Like the proverbial elephant that still believes it can’t move because it was chained to a tree as a baby, there are many possible futures where a peaceful transition to a sustainably abundant world occurs. The fear of overpopulation is pernicious and doesn’t reflect the world of underpopulation emerging in the so-called developed world. 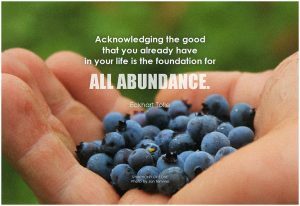 Free energy, democracy, taxation only with representation, humanism, and abundance are all within reach. Love reading your blogs. Thanks for writing them! You are a model citizen. More power to you, JP! I had no idea that one person, who is very intelligent, could hold so many false beliefs simultaneously. 1. Touting Brown’s Gas as a fuel. You can read up on the fallacy on Wikipedia. 2. Conflating “private debt” with the privately held portion of the public debt. The privately held portion is $13 trillion while $8 trillion represents intergovernmental holdings of future claims as trust funds e.g., the Social Security Trust Fund and Federal Reserve holdings of US Treasuries and private debt e.g., mortgage securities and other private debt securities acquired during the financial crisis to stabilize the economy bringing the total debt to $21 trillion. But the Federal Reserve does not issue debt only the US Treasury does. The Federal Reserve System is owned by its member banks but by law, it pays all of its earnings in excess of its operating needs to the US Treasury. The member banks receive no earnings from Federal Reserve operations. 3. The growth in our budget deficit only reflects a failure of our politicians to find a solution to the 80% of the federal budget that is comprised of transfer payments to individuals. Consider your proposal for a basic income and compare that with the over $3 trillion in transfer payments to individuals which are over $10,000 to every individual every year. Only 20% is spent on other items and a smaller percentage yet is actual government spending which is defined as the purchase of goods and services. 4. We already live in a Utopia, a golden age, but most of us are miserable because we are blinded by our good fortune. 5. The word sustainable can only be used discretely and relatively in terms of the expansion of efficiency of use which increases any static assumption of carrying capacity. In my opinion, this makes both of these terms less than useful. Hi Stephen, thank you for your deeper dive into granular details of the topic which I only touched upon. I don’t mean to quibble but I believe my main point is that we live in a system that is not aligned with the stakeholders. My tax money pays for military interventionism, bailing out banks and not homeowners who were shunted to the working poor as a result of clear malfeasance by the bad actors. Government/private collusion exists not only in managing the shell game of fiat currency but in every industry. And as for the public owning treasury bonds, it is clear that congress can and will continue o raid Social Security and fiddle with Medicare as they want without regard to the electorate. If only a percentage of tax revenues were eligible for self-direction, our national priorities would look quite different, IMO. We would not have military operations in 150 of 190 countries, for starters. You have to concede that the Fed/Treasury/Government/Lobbyist ecosystem operates without great transparency or accountability to the pubic while leaning towards fealty towards corporate interests. I am a big fan of your blogs, writings, videos and overall message. I worked for the U.S. Department of Energy’s Energy Efficiency and Renewable Energy Office for over seven years. During that time, one of the hydrogen engineers informed me that while it is true that hydrogen is abundant in general, the hydrogen being used for fuel is attained from natural gas. I’m not knocking your love of the technology one bit, I just thought knowing that may soften the blow of your loss. Keep on writing and doing great work! Thank you, Kerry. I am no expert but natural gas extraction is but one method of producing hydrogen. You can use electrolysis, methane extraction (waste and flatulence), and probably some others. So as far as I know, the explanation that hydrogen comes from a non-renewable source is not accurate. “As a closer to this anthology of past blogs, I close with my own futurist/humanism utopian vision blog. In it, I tried to invent new systems to render the current ones obsolete. I believe that war, fossil fuels, election fraud, corporatism, and crony capitalism are all in their end stages and fall as a result of their own unbridled successes. The narrative has been so controlled, the populace has be so lulled to sleep, and the wealth has been so concentrated, that only a “Hail Mary” like Guaranteed Basic Income could possible save this system. That being said and respecting you consistent thoughtfulness, I must first observe that the scientific and even the ultimate engineering of solutions has largely been reached. Realizing that we are at the point where the obstacale course is largely a social/political one, why do you think that more people are waking up? What evidence are you observing? I really want to know. I’m not requesting a personal reply. A continuation of you essay, for all to read, would be a better answer. 1) dropping popularity of reliance on main stream corporate news. “Free energy, democracy, taxation with representation, and abundance are all within reach”, you remark. The Trump administration has done everything so far to make that much harder to reach. However, if your Minimax theory is correct, people just may see in time how badly Trump is f*cking our country up and finally do something about it by “minimizing the maximal bad outcome” as you say. We’ll see. Allegedly, the economy added 216K new jobs in June. If Bill Maher is calling for a recession just to replace a politician, I would be concerned about where his priorities lie. We can still have a good economy and remove Trump if that is what you wish. Why would people want more suffering just because they hate Trump? Ed, I tried to answer your last comment on my iPhone at least twice, but it does not show up when I try to go back to it on my computer. Here it is again: Whether you hate Trump or not, Bill Maher is right about having a recession, because it certainly will happen if we continue along the economic course that Trump has plotted. I don’t have to belabor the explanation. Cheers!